politicalbetting.com » Blog Archive » Could Jack Straw himself be behind these stories? Could Jack Straw himself be behind these stories? How close will the Megrahi case get to Mr. Brown?? This is the key extract from this morning’s main lead in the Times that follows on from the leaked letter in yesterday’s Sunday Times. 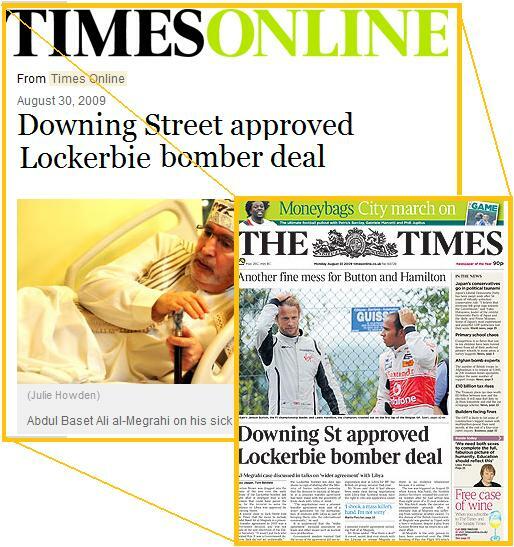 “Gordon Brown was dragged into the centre of the row over the early release of the Lockerbie bomber last night after it emerged that a key decision that could have paved the way for the terrorist to serve his sentence in Libya was approved by Downing Street. The term “a source close to.. “ is often code about the source of the story itself. If it’s not the justice secretary, Jack Straw, himself is this coming out with the minister’s knowledge and tacit approval? I have absolutely no idea but the main beneficiary of this disclosure would see to be Straw. We cannot rule out the possibility, of course, that somebody else might be setting him up? Why doesn’t Brown Central follow the old adage – “It all else fails try the truth”? It might be simpler in the long run.